March 23, 2017: Colorado Governor John Hickenlooper today signed SB 17-008, the bill to repeal Colorado's switchblade and gravity knife ban. Congratulations to sponsors Sen. Owen Hill and Rep. Steve Lebsock for their effective leadership in moving this bipartisan bill thorough the legislature with overwhelming votes in both houses. Thanks to everyone who called or emailed the Governor urging him to sign the bill. Knife Rights was pleased to be able to assist the sponsors in moving this bill through the legislature. Knife Rights' Director of Legislative Affairs, Todd Rathner, traveled to Denver to lobby the bill at the invitation of the sponsors, overcoming objections raised by some legislators. We'd also like to thank Sen. Hill's constituent, retired Air Force Master Sgt. John Bloodgood, whose request was the inspiration for this bill and who did a great job supporting the bill in testimony at the hearings. Note that the repeal does not become effective until 90 days after the current legislative session ends. That would make enactment approximately August 9, 2017. We will let you know the actual enactment date once the session ends. Until enactment, possession of automatic and gravity knives remains illegal in Colorado. Also worth noting is that once enacted and the ban is repealed, automatic knives will be subject to Colorado's concealed carry blade length limitation of 3.5 inches or less. We'd also like to thank the American Civil Liberties Union, the ACLU of Colorado and County Sheriffs of Colorado for supporting this important criminal justice reform bill. Colorado is the twelfth switchblade ban repeal passed since Knife Rights passed the nation's first repeal of a switchblade (automatic) knife ban in 2010 in New Hampshire. Since then we have passed repeals of switchblade bans and repealed other knife restrictions in Alaska, Indiana, Kansas, Maine, Missouri, Nevada, Oklahoma, Tennessee, Texas, Wisconsin and now Colorado's ban is repealed. March 9, 2017: The bipartisan bill to repeal Colorado's Switchblade and Gravity Knife ban SB 17-008, overwhelmingly passed the House 59-6.The bill legalizes the possession, carry and sale of a gravity knife or switchblade by removing such knives from the definition of "illegal weapon." It will now be sent to Governor Hickenlooper for action. If you live, work or travel in Colorado, please call or email the Governor and politely ask him to please sign SB 17-008. That's all you need to do, just keep it very simple, "please sign SB 17-008" and thank him. Message: Please sign SB 17-008. Thank you. We congratulate sponsors Sen. Owen Hill and Rep. Steve Lebsock for their effective leadership in moving this bipartisan bill thorough the legislature. We'd like to thank the American Civil Liberties Union, the ACLU of Colorado and County Sheriffs Of Colorado for supporting this important criminal justice reform bill. Knife Rights is rewriting knife law in America™. Knife Rights passed the nation's first repeal of a switchblade (automatic) knife ban in 2010 in New Hampshire and has since passed repeal of switchblade bans and repealed other knife restrictions in Alaska, Indiana, Kansas, Maine, Missouri, Nevada, Oklahoma, Tennessee, Texas and Wisconsin. March 2, 2017: Knife Rights helped advance SB 17-008 a bill to repeal Colorado's Switchblade and Gravity Knife ban, which passed the Senate previously, was reported out of the House Judiciary Committee by a vote of 10-1. It now moves to the Committee of the Whole, and hopefully then to a final vote. The bill legalizes the possession, carry and sale of a gravity knife or switchblade by removing such knives from the definition of "illegal weapon." 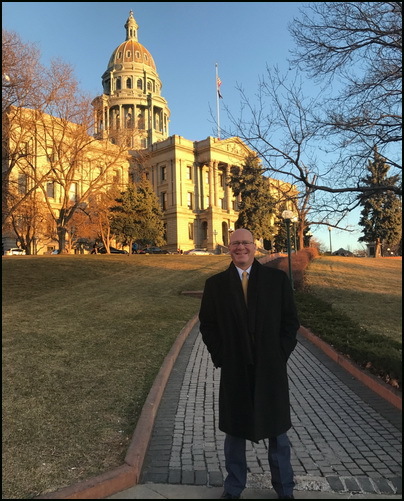 Knife Rights' Director of Legislative Affairs, Todd Rathner, was in Denver this week lobbying committee members on the bill to overcome objections raised by some members, which clearly was effective. He also prepared exhibits used by the bill sponsor, Rep. Steve Lebsock, during the hearing. Rathner testified at the hearing and assisted in defeating an amendment that could have caused confusion and slowed down progress of the bill, possibly endangering its passage. We'd like to thank the American Civil Liberties Union, the ACLU of Colorado and County Sheriffs Of Colorado for supporting this important criminal justice reform bill. 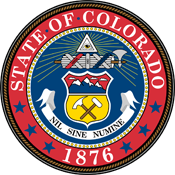 January 24, 2017: SB 17-008 to repeal Colorado's Switchblade and Gravity Knife bans has passed out of the Senate Judiciary Committee by a vote of 4-1. It now moves to the full senate for a vote. The bill legalizes the possession and sale of a gravity knife or switchblade by removing such knives from the definition of "illegal weapon." Knife Rights is working with our friends in Colorado to assure the passage of this bill.